So, raise your hand if you catch yourself almost once a week looking at a calendar, flipping through the pages and hoping secretly that a few months would just magically disappear so that your wedding day would be closer and you can finally call your fiancé your husband. Now, raise your hand if, on the flip side, you want your wedding to come fast just so that all the 24-hour planning can stop. Let me tell you, there is no greater feeling in the world than when your officiant pronounces you husband and wife, and you are walking back down the aisle together. One of the happiest moments at our wedding, for both my husband and me, was that moment. We both felt this HUGE rush of relief! We did it, we survived, and now we got to celebrate! We had an almost two-year engagement … not by choice. We wanted to get married in October. If you’ve ever been to our native upstate New York in the fall, you know just how beautiful it is up here that time of year with crisp air and changing leaves. We also, along with about 15 other friends and family members, have birthdays/anniversaries in October, so an October wedding just had to be done. Up here, venues book about a year-and-a-half to two years out. So, we had to wait almost two years for our wedding. It was torturous, at times, waiting for the time to pass, and at other moments we were thrilled we had so much time because it allowed life to happen around us at normal speed without feeling rushed. So, what’s my point, you ask? No matter how long or short your engagement is, cherish every moment of it. 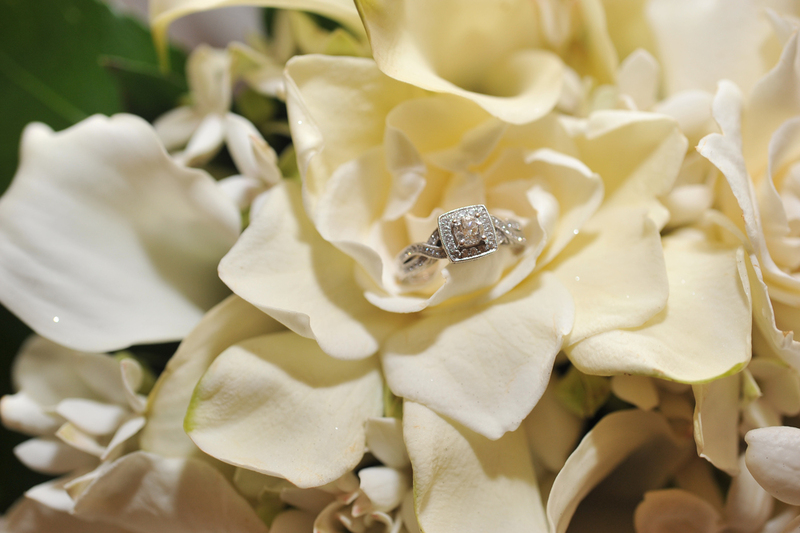 I truly believe your engagement sets the tone for your happily ever after. Think about it - it’s one moment in time where you have a great opportunity to “practice” essential elements of married life. You get to test the negotiating waters. You learn to make compromises, you learn to budget finances, and for many, it’s the first time you will be making big decisions as a couple (such as buying a house). Isn’t it great to be able to have this test before you say “I do?” It gives you time to work out any kinks, so by the time you are ready to walk down the aisle, there are no surprises. This was one of the most important lessons I learned … but only in hindsight. It’s hard to think of the big picture sometimes when you are knee deep in seating charts, vendor appointments, and cake tastings, but I hope this insight gives you an opportunity to see that there are lessons to learn, even in the minute details of deciding what font to put on your invites.